Through Abandoned: The Refuge is an awesome adventure game developed by Igor Krutov. It is a big story about parallel worlds. You try to find your twin-brother who disappeared in a huge and mysterious place called Abandoned. Now the way leaded you to the Refuge, a place hidden between worlds. Investigate what happened there. 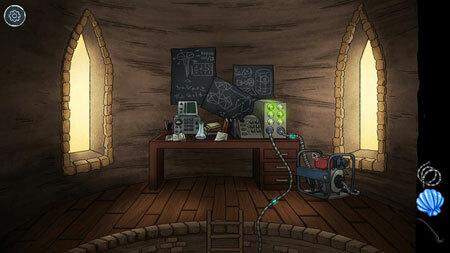 Solve puzzles and play mini-games, look for items and find a way to use them and escape. If you get stuck in the game, check out the video walkthrough and gameplay for the game. This entry was posted in PC Games, Walkthrough and tagged Through Abandoned: The Refuge Cheats, Through Abandoned: The Refuge Gameplay, Through Abandoned: The Refuge Guide, Through Abandoned: The Refuge Strategy, Through Abandoned: The Refuge Walkthrough by Marvin. Bookmark the permalink.